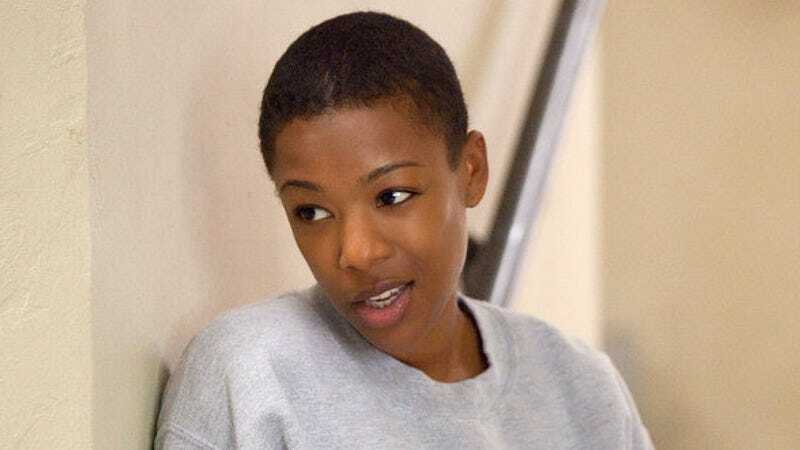 Orange Is The New Black’s Samira Wiley has been cast in the upcoming film 37, written and directed by first-time filmmaker Puk Grasten. 37 is inspired by the 1964 murder of Kitty Genovese, who was stabbed to death near her home in Queens; Genovese’s neighbors witnessed and heard the attack, but did nothing. Grasten previously made a short film about the Genovese murder starring Boardwalk Empire’s Heather Lind that premiered at the 2013 Slamdance Film Festival. The film will star an ensemble cast as the families living in the Kew Gardens area of Queens where Genovese was murdered. In addition to Wiley, the cast includes Christina Brucato as Genovese, Michael Potts, Jamie Harrold, Maria Dizzia, Evan Fine, Thomas Kopache, Sophia Lillis, Lucy Martin, and Adrian Martinez. This will be Wiley’s first starring role in a feature film, which is pretty surprising given her fan-favorite status on Orange Is The New Black. She was promoted to a regular for the show’s recent third season, where Poussey continued to win hearts. So far, there are no details as to who her character in 37 will be. As for Potts, if his turns on True Detective and Law & Order: SVU have taught us anything, it’s safe to assume he’ll be playing a detective of some sort.